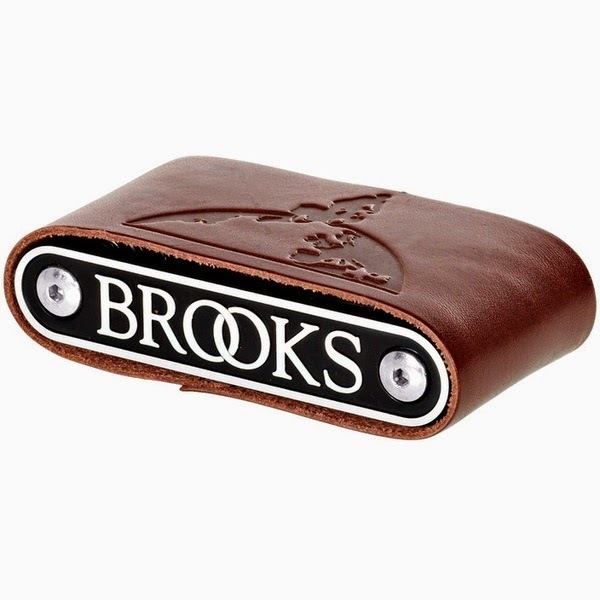 Brooks (England) are famous worldwide for their beautifully crafted leather bicycle saddles. They have recently expanded their product range and have included a multi tool in their new line up. 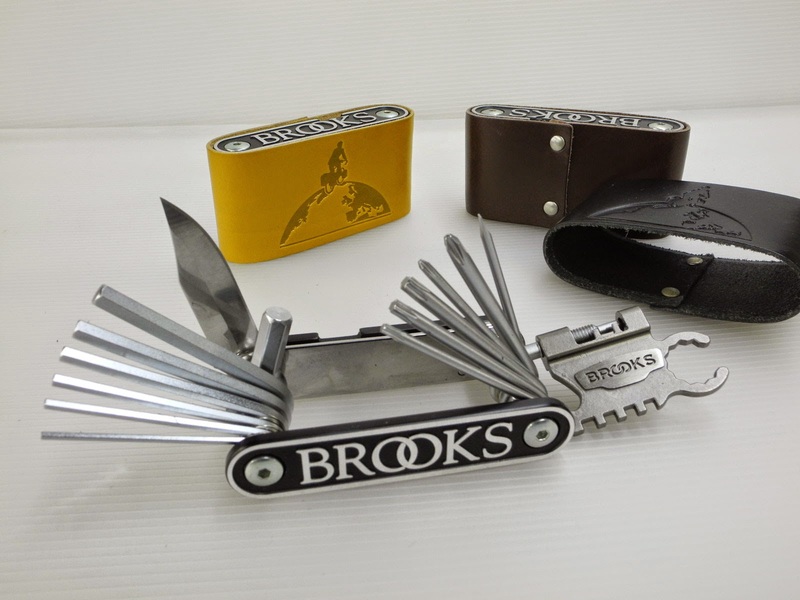 The Brooks multi tool contains an impressive 21 assorted tools. 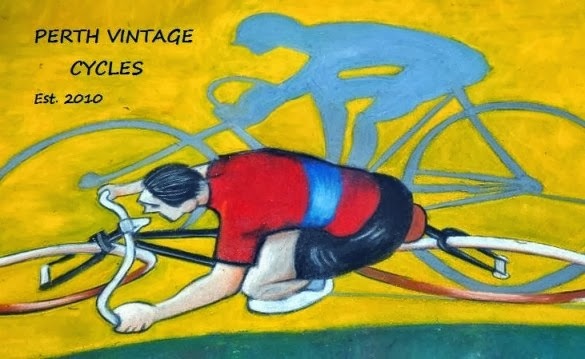 It is a very well crafted tool that would suit any cyclist. 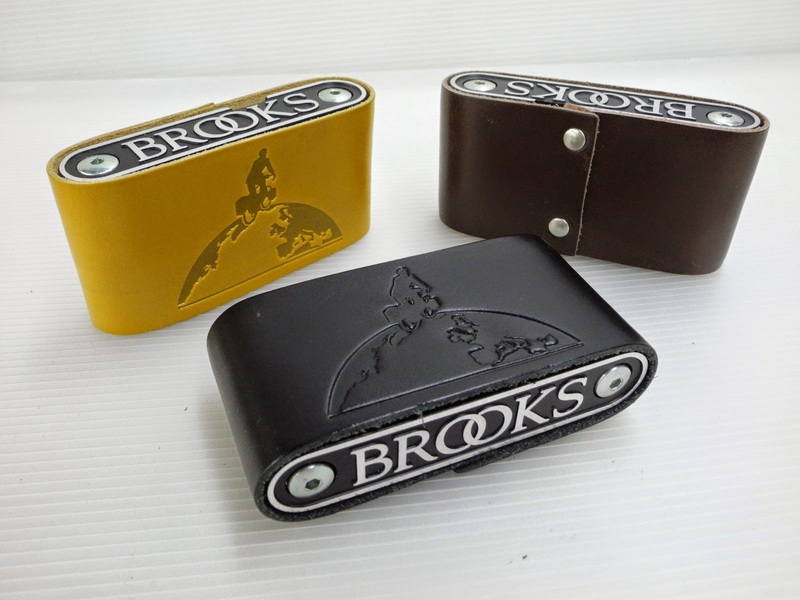 It's unique design includes two Brooks badges that are similar to the badges that are fitted on the rear of their saddles. As well as including a good range of functional tools, it is a good looking piece of equipment. This tool is designed for a more modern bicycle rather than a vintage bike. Modern bicycle components are generally fitted with hex keys and this tool includes a good range of hex key sizes. The tool also has 3 Torx wrenches. These are for particular bolts that are used on disc brakes that you'll find on some mountain bikes. Apart from the hex keys and the Torx wrenches, all other tools are useful to the vintage cyclist - the bottle opener probably being the most valuable! My favourite tool on this device is the knife. Many bicycle multi tool manufacturers often overlook the inclusion of a knife. I've been on longer rides where I have needed a knife that I didn't have, so I'm so happy that Brooks have included a good sized blade on their version. ...and of course it's hard to imagine a Brooks product that doesn't have any leather in it's design. 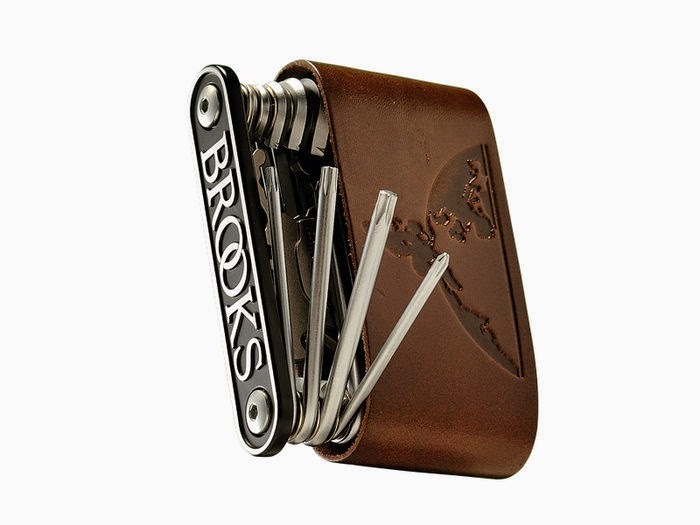 Brooks have included a leather sleeve for their multi tool that fits very nicely around the tool to protect it. The cover has a 'world traveller' logo stamped onto it and is available in a choice of three colour options; black, brown, or ochre (yellow). If you are prepared to pay about US$70 then this will be a good option for you. 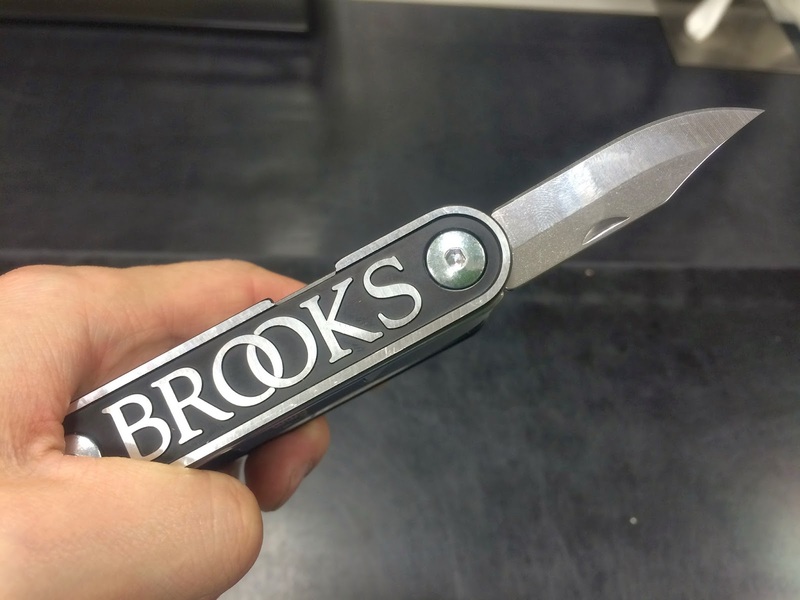 There are similar multi tools available for a much better price, but what a nice way to compliment your Brooks saddle! Weighing in at nearly 300 grams it's certainly not the lightest multi tool on the market - but it is one of the best. It would be a great gift idea too! Labels: Brooks MT21, Brooks multi tool. Brooks Multi Tool MT21 is really helpful for a road biker. I have one, it works like friendly and you can do almost all kinds of work by using it. There are lots of bike multi tool in the market but this one is really good. The noticeable sharpness permits you to fine-tune each blade across the string without needing too much work.